It's some of the best evidence yet for Darwin's theory of evolution. camera (UCLA Center for the Study of Evolution) A section of a 2.3 billion-year-old fossil-bearing rock. 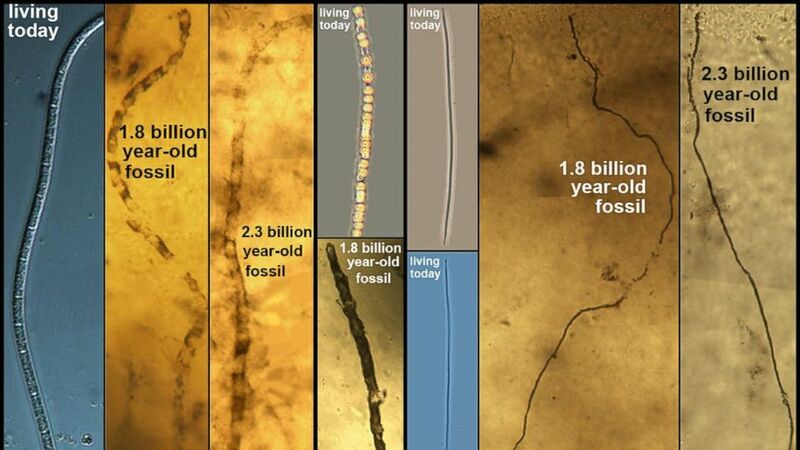 The fossils (the dark areas) are essentially identical to ones that are 500 million years younger, and to modern microorganisms that live in seawater mud. Some things never change. And some things don’t change for at least 2 billion years. An international team of scientists have identified a deep sea microorganism that has not evolved in at least two billion years, nearly half the age of the planet. It’s an important discovery that paradoxically provides some of the best support yet for Charles Darwin’s theory of evolution, said lead researcher J. William Schopf. The findings were published in the latest issue of the journal Proceedings of the National Academy of Sciences. Schopf said he had been searching since his freshman year of college, some 50 years ago, for a long-standing, durable environment that could help demonstrate the idea that absence of change would equal absence of evolution. The team found living specimens of the tiny sulfur-eating bacteria in question off the coast of Western Australia far beneath the muddy sediment of the ocean floor. The organisms reside so far below the surface that no oxygen or light has ever reached them and they have never been disturbed by waves or other sea creatures, researchers said. (UCLA Center for the Study of Evolution) Deep-sea microorganisms are unchanged over more than 2 billion years, a new analysis of ancient fossil microorganisms reveals. 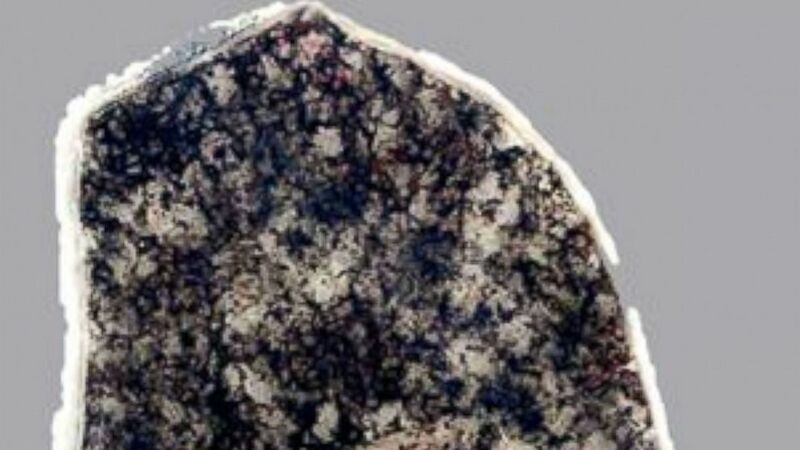 Using cutting-edge technology, the scientists were able to compare the microbes with a set of fossils preserved in rocks found in Western Australia’s coastal waters that date back 2.3 billion years ago, a point in the planet’s history when there was substantial rise in oxygen levels. Higher oxygen levels produced a dramatic spike in oxygen-containing sulfate and nitrate compounds that sunk to the bottom of the ocean, providing the “food” that allowed these bacteria to thrive and multiply. They also match up exactly with fossils from 1.8 billion years ago found in the same area. 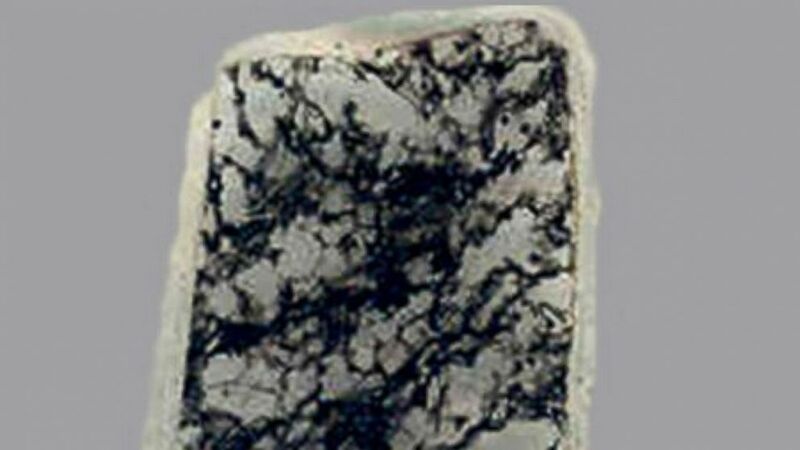 (UCLA Center for the Study of Evolution) A section of a 1.8 billion-year-old fossil-bearing rock. “They all look the same and they also look the same as other modern sulfur bacteria found in the mud off the coast of Chile,” Schopf said. Charles Darwin focused mainly on how species changed over time in response to an ever-shifting environment, Schopf said. This discovery fits perfectly with Darwin’s theory of evolution because it demonstrates an organism that remained essentially unchanged over billions of years because it never had a reason to make adjustments.